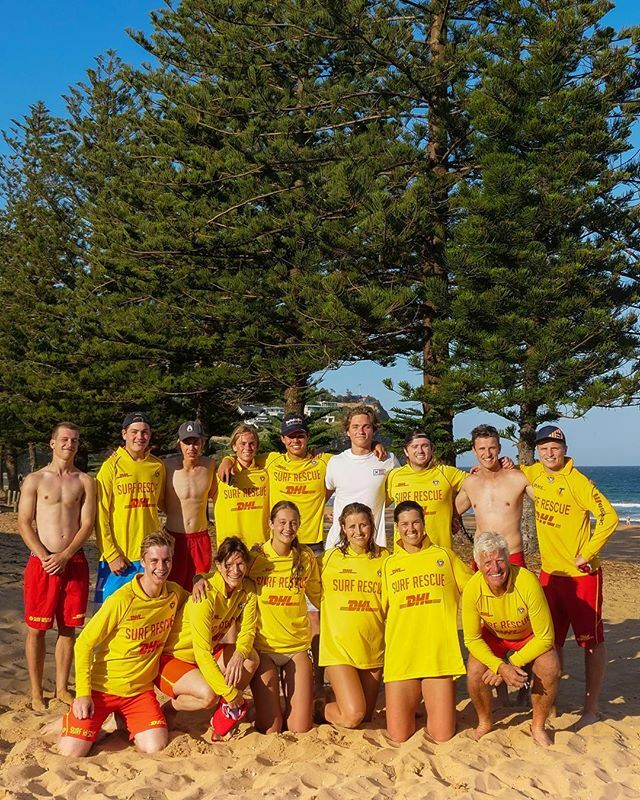 Whale Beach SLSC is exceptionally proud of the team from Patrol 9, who have been awarded Rescue of the Month by not only the Sydney Northern Beaches Branch but also from Surf Life Saving NSW. This is an exceptional achievement and a testament to the exemplary leadership of Patrol Captains Suzy Bownes and Sophie Rothery, as well as the preparation, responsiveness and teamwork of their young patrol in collaboration with the emergency services. It goes without saying that this incident could have played out quite differently and we couldn’t be prouder of Patrol 9 for this award and their outstanding service on that day. Two Western Sydney men were able to celebrate Christmas with their families after the substantial skills of a team of lifesavers stopped a potential double tragedy at Whale Beach on the Northern Beaches. The incident happened just after 3pm on December 23 when the two men understood to be in their early 20s got into difficulty while swimming just to the edge of the flagged area. A set of waves knocked the pair off-balance and they were at the mercy of the rip current, being tossed and turned in the churning water. Fortunately for the duo help was close by in the form of Whale Beach Patrol 9. Seeing the incident escalate, the volunteer lifesavers quickly rushed into the water with rescue tubes and boards while the Inflatable Rescue Boat was also launched. One of the patients was in severe distress when he was pulled unconscious onto a rescue board. He received CPR treatment on the beach, while the second man was fully conscious when he was brought ashore. However, once back on the beach, his condition too deteriorated and he began to display the symptoms of secondary drowning and shock. Both men were transported to hospital for further treatment. It was a great team effort from the Whale Beach SLSC lifesavers, many of whom were newly qualified and in their teens. For first year Patrol Captain Suzy Bownes and Sophie Rothery, it was a highly stressful incident, but they handled the situation with the skill of seasoned veterans. “Without their vigilance, skills and training, there is little doubt one or both of these swimmers would have drowned,” said Club President Andrew Pearce. “When these things happen they happen fast. It doesn’t bear thinking about how things might have ended differently had we been less prepared,” he said. CEO of Surf Life Saving NSW, Steven Pearce, said the incident highlights the importance for lifesavers of maintaining current rescue skills and having a working knowledge of CPR techniques. “The ability of the volunteers to step up and save someone’s life shows how vital regular training is for all of us in undertaking this important work,” said Steve Pearce. “This experience brings home the fact that keeping up to date with CPR training and lifesaving skills is paramount. “It also demonstrates how important it is to always swim at a patrolled beach between the flags. If the patrol hadn’t been there to respond, things would have ended very differently,” he concluded.